Gains Realty has been privately owned and operated since the 1970's in the White Plains and Hartsdale areas. We expanded to a second office in Mt Pleasant in 1975, and in 1980, with the first separate Condo Division by a residential Broker. In 1982 a Corporate Relocation Division Was added for small as well as large companies. In 1990 a Rental Division was formed to handle the demand for rental housing throughout Westchester. The Principle brokers, Margaret Guadagno and Constance DeFilippis, have been actively involved in all aspects of selling and buying real estate. They are also very involved in civic, charitable and professional organizations, such as Rotary, City Planning Board, Toys for Tots, Housing Task Force, United Way, The Food Pantry and have been officers and directors of the Westchester County Board of Realtors and the Multiple Listing Service including the Professional Standards Council. 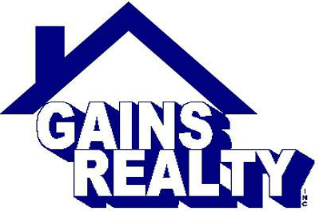 Gains Realty has cultivated a reputation for its strict adherrance to ethical business practices as well as for its one-on-one personalized service.Your never just another property address at Gains Realty, your a person with needs and aspirations that must be filled.